"A Big Beautiful Heroine! Well, I am a big fan of Pat Ballard's work. I love how all her heroines are plus-sized beauties and have great hunks who love them that way. I also love that her heroines have class and style. They are strong women who can handle any situation put before them. 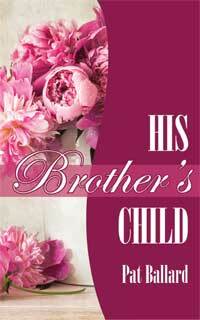 [His Brother's Child is] not only a love story, but a story about hope. How it only takes one person who, with loving patience, can give a person the strength to overcome fears and to embrace life. I hope to read many more of Pat's books. Each one is a treat." "Once again Ms. Ballard delivers! Ms. Ballard is proving herself to be the new Romance Queen of the new Millennium. Her new novel, His Brother's Child, heats up from the start and just continues to build that sexual tension until the explosive end. My recommendation is buy the book, find a comfortable place to read and ENJOY because you won't be able to put it down!"